The holidays are traditionally a time to give to others, but there’s nothing wrong with treating yourself to a little gift as you check off your holiday shopping list. In fact, more and more Americans are indulging in the growing trend of “self-gifting” around the holidays. A 2015 survey by brand consultancy agency Kelton Global shows self-gifting is becoming a normal part of the Christmas shopping experience -- especially among millennials. Overall, about three-quarters of shoppers said they get a little something for themselves when buying clothes, shoes, and electronics for others online.Millennials are 40 percent more likely to self-gift than Gen Xers or boomers, according to the survey. 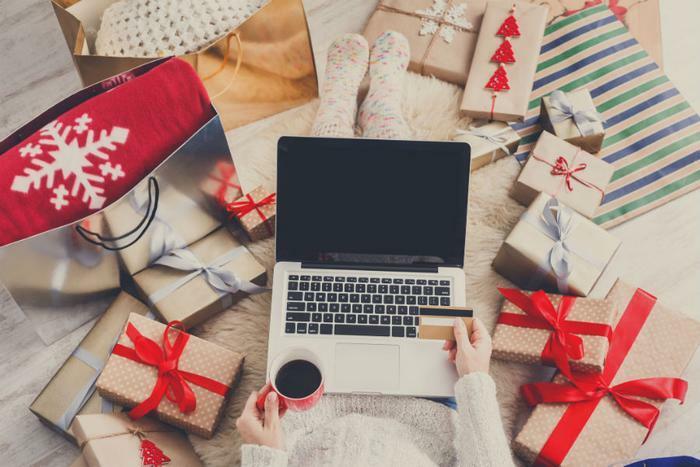 While you’re shopping for others this holiday season, consider treating yourself to a gift from one of these online merchants. Brika. This site aims to connect talented artisans with “creative and conscientious consumers through the best in modern craft.” Every day, Brika features the work of a new maker of handcrafted gifts. Treat yourself to a unique accessory, a one-of-a-kind piece of jewelry, or a quirky gift for your home. Vellabox. Looking for a gift that will keep showing up on your doorstep month after month? Head over to Vellabox and sign up for a seasonal candle box subscription ($10/month). Each 3-, 6-, or 12-month subscription includes a hand-poured, toxin-free candle and a surprise gift. Warby Parker. Holiday gatherings tend to produce quite a few kodak moments, and chances are you’ll be part of at least a few of them. If your eyewear could use an update ahead of upcoming photo ops, sign up to receive a selection of five potential new frames to try on at home courtesy of Warby Parker. Amazon. With its vast product selection, Amazon is an ideal place to purchase gifts for others. But you can also treat yourself to one of its many stress-alleviating gifts. This $12 journal can help get you out of your head when you’re feeling anxious, this essential oil diffuser can help you relax, and these comfy slippers can help you unwind after a long day of holiday prep. Serena & Lily. Home design enthusiasts will love the preppy-meets-boho feel of the goods on this site. From Moroccan leather poufs to stylish throws, shoppers can find a wide variety of pieces to enhance the look of any room in their home. ASOS. One of the biggest names in online fashion, ASOS offers a wide variety of affordably priced and super stylish apparel and accessories for both men and women. Spend $40 or more at this site, and you’ll get free shipping.